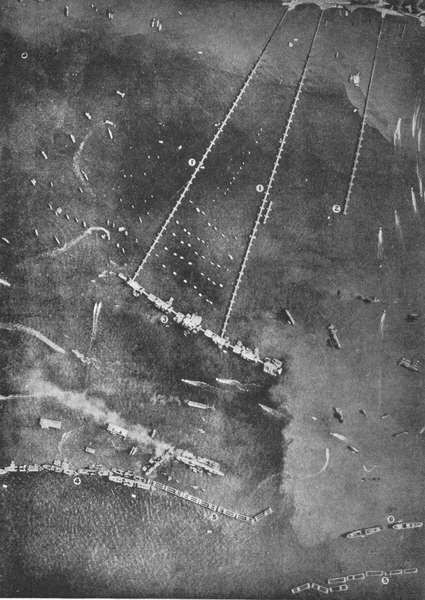 Here we see an aerial shot of the British Mulberry port at Arromanches. The scale of the construction is shown by the size of the Liberty ships in the bottom-right of the picture. 6: Mooring for Liberty ships (bottom right, just above a line of 'Phoenix' break-waters.